news The NSW Government has formally embraced and started regulating the taxi smartphone apps which have been taking Sydney and other locations by storm, setting regulations to support the apps against the wishes of incumbent players in the taxi industry and capping surcharges at five per cent to stop overcharging. Over the past year, apps such as GoCatch, Uber and Ingogo have become popular in Sydney, with some taxi drivers sporting multiple mobile phones attached to their dashboard in order to receive jobs via the new systems. Customers have embraced the apps because they provide greater certainty about the arrival of taxis when they need them, as well as better communication with drivers. 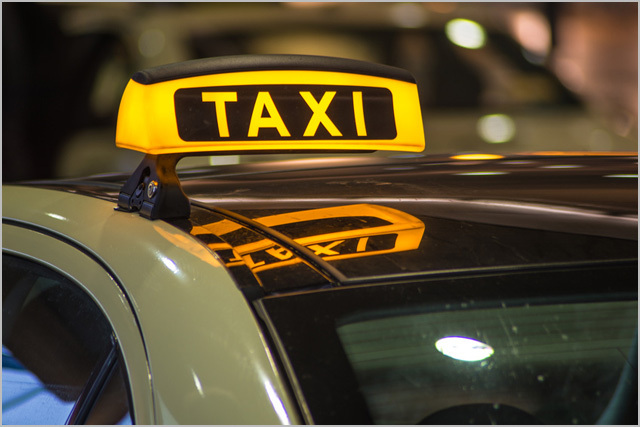 In a statement today, NSW Premier Barry O’Farrell and Minister for Transport Gladys Berejiklian announced a package of reforms which the pair said would make taxis safer, save customers money and improve reliability. “Taxis are a key part of our public transport network and we are keen to ensure they provide value for money and are as accessible, reliable and safe as possible,” O’Farrell said. The NSW Government’s three point plan to improve taxi services includes: Halving the typical surcharge on card fare payments by capping it at 5 per cent – saving customers $2.50 on a $50 fare; For the first time regulating and encouraging the creation and use of innovative new mobile phone taxi booking apps to improve and modernise the customer experience; and enhancing enforcement of vehicle safety and maintenance. Berejiklian said taxi customers have also said they want more reliable taxis, particularly in peak periods and part of increasing reliability means giving customers more power in the booking process. The mobile phone booking app reforms are a result of a period of consultation with industry, and customers as part of the review of the NSW Passenger Transport laws. Both the surcharge and mobile booking app reforms will come into effect later in 2014, subject to the passing of legislation due to be introduced soon. The third key part of the taxi industry overhaul will be an improved focus on vehicle safety. Berejiklian said these reforms build on action already taken by the NSW Liberals & Nationals Government to improve customer service, including the introduction of more peak taxi licences and a peak surcharge to encourage more taxis on the road when people need them most on Friday and Saturday nights. The NSW Government’s approach of embracing the taxi smartphone apps come as many other geographies internationally have rejected or attempted to curtail the phenomenon, with companies such as Uber fighting legal battles all across the United States in a bid just to be allowed to operate. It’s not quite clear yet what the new regulations being applied to the taxi smartphone apps will mean. However, two major players, Uber and GoCatch, have commented on the issue to Gizmodo, noting that they didn’t expect much to change from the reforms. I think what we’re seeing here is very much the legitimisation of smartphone taxi apps in Sydney. Up until now, it seems like the taxi apps have been operating in a bit of a grey zone, in that the existing taxi companies haven’t been huge fans, and it hasn’t been clear how the Government has viewed them. Some new controls may be placed on the apps to ensure consumer protection, but it feels like the bigger outcome is that they are now being seen as legitimate players, which is great. I’ve experimented with all of the apps and found the most reliable one in terms of getting taxis and usability is GoCatch, which seems to universally work for me. I’d be interested to hear what other people think about the situation. Gocatch also seems to be the most reliable for me, and is also the only one available in Queensland. However as they don’t charge a surcharge, when I’m in Sydney I usually try uber first and then go to gocatch if I can’t get a cab on uber. GoCatch for me – I’m also aware they are PCI compliant which is a good thing from a security perspective. one of core reason behind goCatch betterness is turning the tide of short fare refusals to “short fare chase” by the cab drivers. For your own experience try hailing the last cab in the taxi rank for a short fare(after it comes to the front position in the rank after say half an hour later!) , but try hailing that same chap thru GoCatch and notice the change !!.. in Dressed up taxi cab orlando as women But turn out to be satisfactory enough. device. If you just came out of nowhere. Listen, I can.